Customers are an essential component of business because without them there would not be anyone who to sell a product or offer a service. It is for this reason that every business should have much of its efforts and resources on attracting new customers and maintain satisfaction by providing them the best service and care possible. With the arrival of a special date as it is Christmas, sales increase dramatically and the number of customers also increases and is for this reason that you should pay special attention during the December dates to achieve customer satisfaction and gain all their confidence in you and your products. One of the ways in which we can make our customers feel good at Christmas time is through a business letter for Christmas. Give a letter expressing to the customers your best wishes for Christmas using any of the models we bring you below. Modify them according to your needs or use them to create your own. 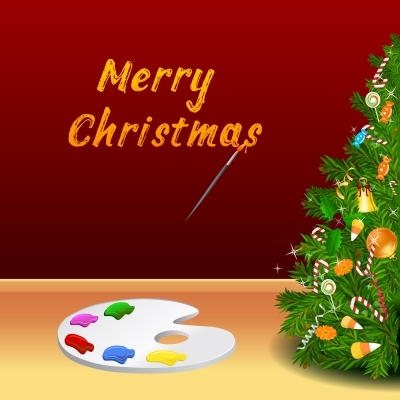 It is a pleasure for us to contact you to assure you to receive our greetings and wish you well in this Christmas. Christmas is an expected date for all throughout the year, being the best opportunity for us to share unforgettable moments full of much happiness by the side of our family and friends. In our business we are all part of a family business and our customers also make our family because they are our reason for being so to have your preference fills us with great satisfaction. We always strive to have our stores the best products with higher quality and of course the best price for all our customers to be truly satisfied. Is our most sincere wish that this Christmas you all can feel the tranquility and peace that it brings and to celebrate the birth of the Savior, the best feelings come from our hearts to share with our families and friends and make a better world. We wish you a very happy Christmas and New Year filled with many successes and prosperity. Through this letter, we want to greet you and express our most heartfelt wishes this holiday season. Christmas is a beautiful time in which we aside bad things of the world and focus on what really matters: it is the love and affection of our friends and family. They are, in fact, the greatest treasure we have in this world. It is our hope that this Christmas your hearts get full of the best feelings to share with family and with all those people who really need it, doesn’t matter how much or few you have. Have a Happy Christmas by the side of yours, I wish your family bonding ties hard and you become more united in the new year with so much prosperity and success.